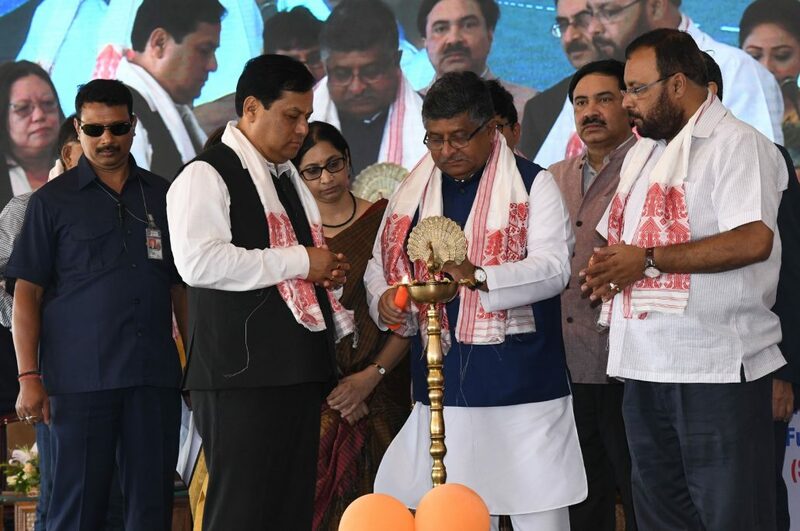 Union Minister of Law and Justice, Electronics and IT Ravi Shankar Prasad and Arunachal Pradesh Deputy Chief Minsiter Chowna Mein jointly launched the Arunachal Instance of MyGov Portal and NIC’s S3WaaS websites in Guwahati on Saturday. With these, the State has become one of the pioneers in the region to launch the MyGov State instance. MyGov Arunachal is a unique platform for citizen participation and engagement, implemented by the State Department of IT and Communications in collaboration with MyGov team of the Centre. The platform MyGov Arunachal would crowd source governance ideas from the citizens of the State that would contribute to the development in terms of good-governance. The portal can also be used for hosting various government initiatives, used by the State Government as a window to get the views, opinions of the citizens on various prospects and project initiatives and furthermore to facilitate dialogue, discussion and deliberation between citizens and government and henceforth, bring in social and economic transformation. The MyGov Arunachal portal can be accessed at https://arunachal.mygov.in. Secure, Scalable and Sugamya Website as a Service (S3WaaS) is a website generating and deployment product hosted on the national cloud of NIC. Using the service, district administration can create and deploy their websites. Websites for 10 districts of Arunachal Pradesh have been successfully customized based on this platform and launched. The S3WaaS district websites can be accessed at https://ardistricts.nic.in. Prasad announced to provide budgetary support to the Arunachal Pradesh Government for implementation of Free Space Optical Communication (FSOC) technology at Yupia, Papum Pare as pilot, State Data Centre (SDC) and State Wide Area Network (SWAN) to be established and funded by the Centre. Speaking on the occasion, Mein thanked the Centre for their special focus on IT and eGovernance initiatives in the region. He gave detailed deliberation on achievements and progress made by the State in the field of digital activities. He informed Prasad that the State Government has identified the location for setting up of permanent location of NIELIT Itanagar Centre. Further, he emphasized on continued support of the stakeholders in the State’s ambitious effort to realize the dream of Digital Arunachal. Mein also sought the intervention of Department of Telecommunication for timely implementation of telecom projects in the State for smooth rollout of IT and e-Governance initiatives. He exuded hope that the launching of Vision Document for Digital North East 2022 would bring in accelerated implementation of the various initiatives under the Digital India programmes in the region.